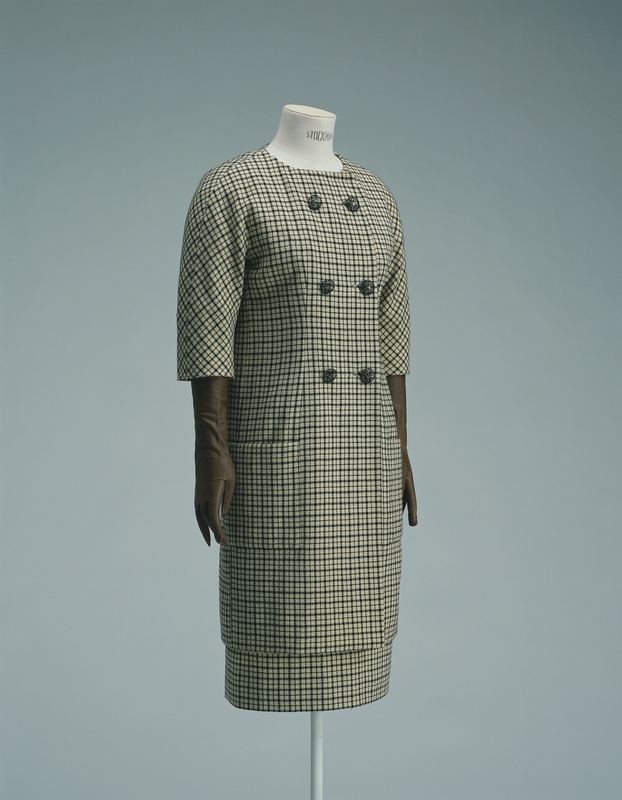 Black and ivory wool tweed tunic ensemble; check pattern. 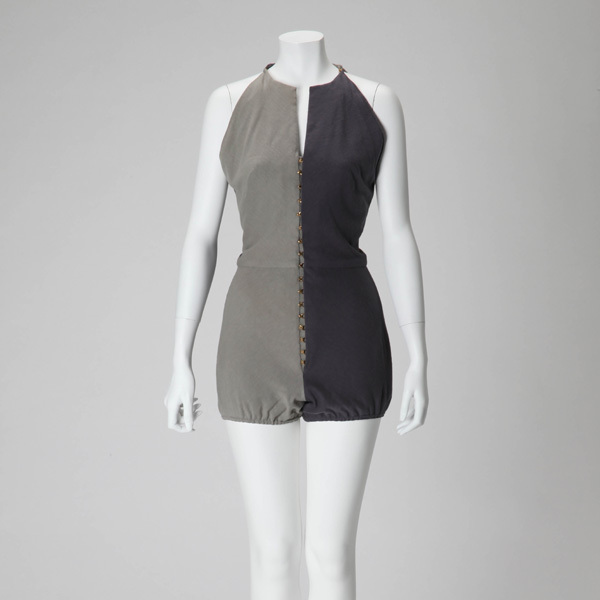 An exquisite balance between tunic and skirt brings out to the full the simplicity that is one of Balenciaga's trademarks. 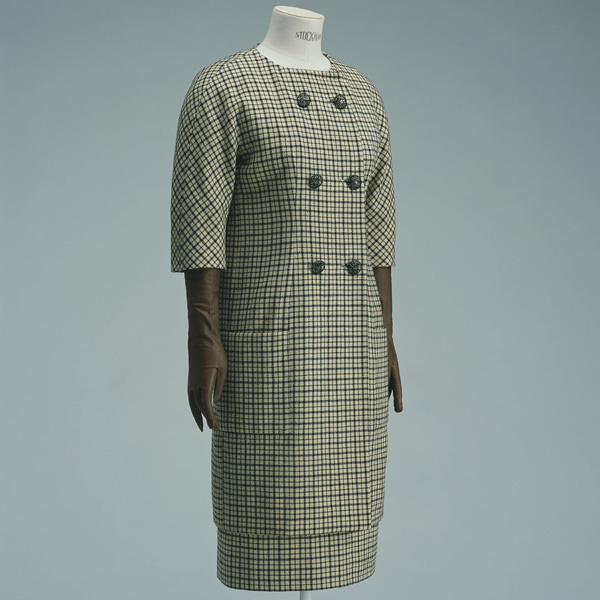 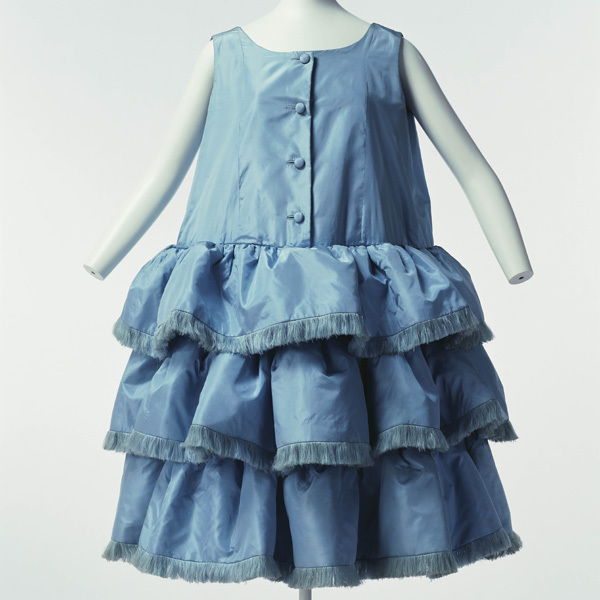 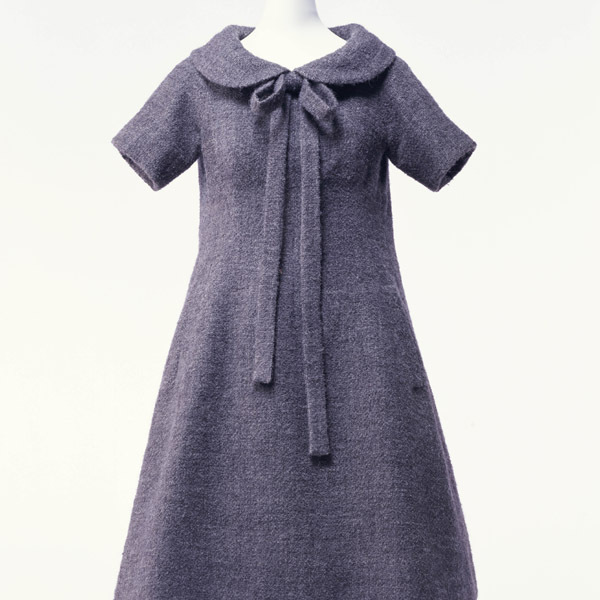 The tunic style was launched in 1955, and if the skirt that is part of this ensemble is disregarded, it can be seen as already foreshadowing the mini dress of the 1960s. 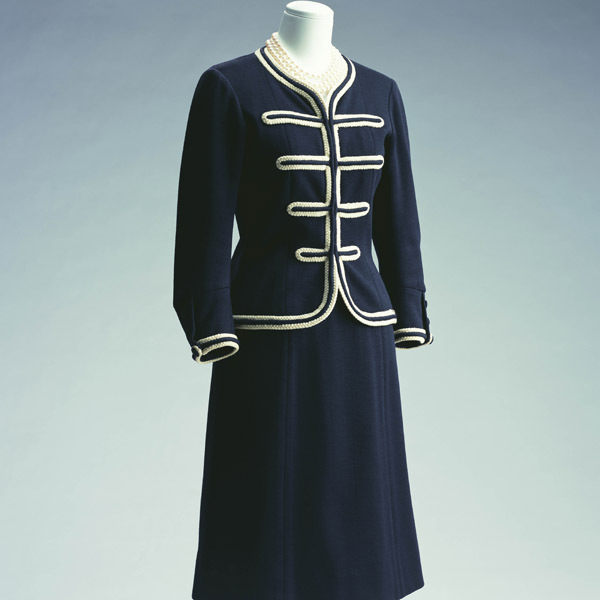 One technique used to perfect this tunic is concealed in the pockets and the darts in the front. 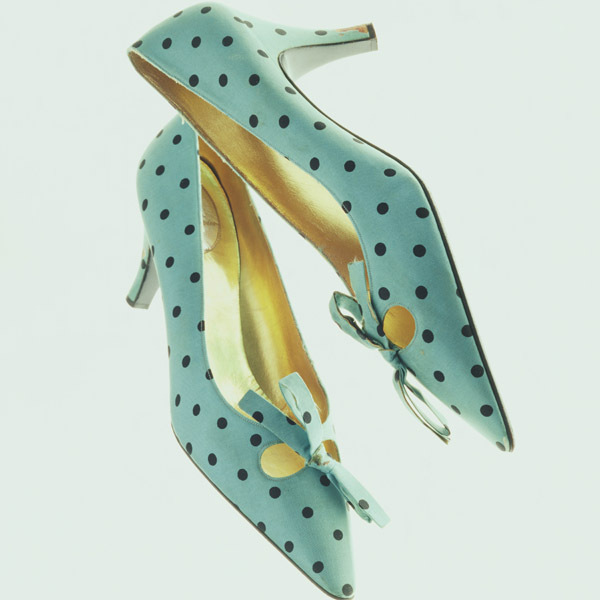 Their seams are carefully aligned with the check pattern so as to be unnoticeable at first glance. 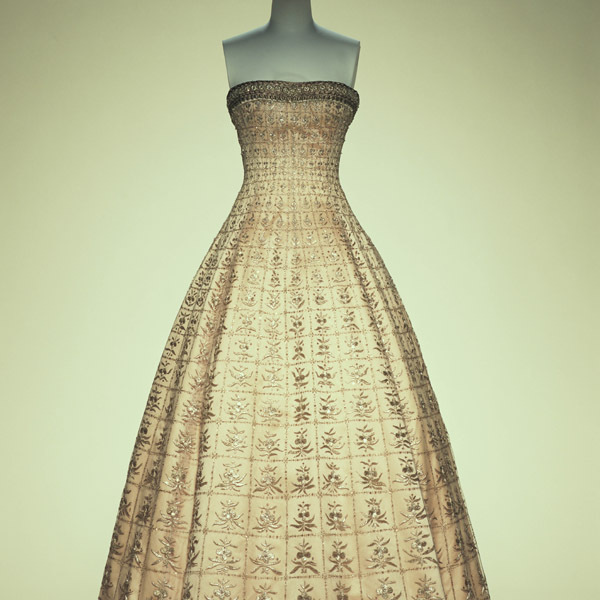 This is one of the wonders of haute couture, where evidence of consummate skills can be found in the smallest details. 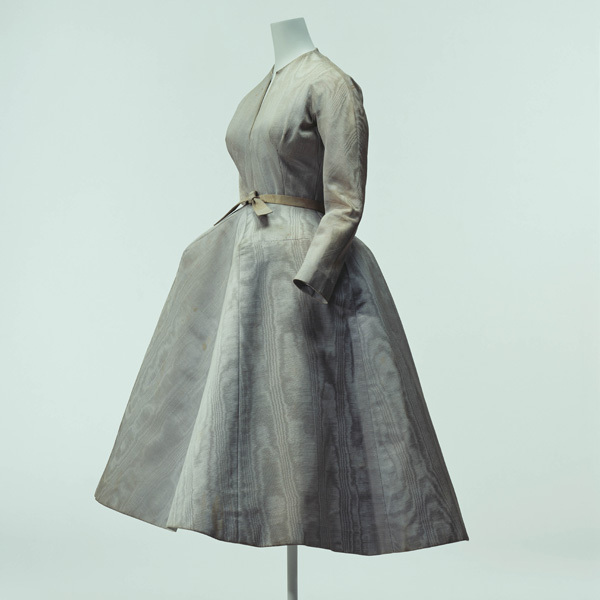 The chief of atelier at the time, recalled the rigor of Balenciaga's standards, "if the stitching on a pocket were even 2 or 3 millimeters out of place, he would silently raise a finger to urge greater attention." 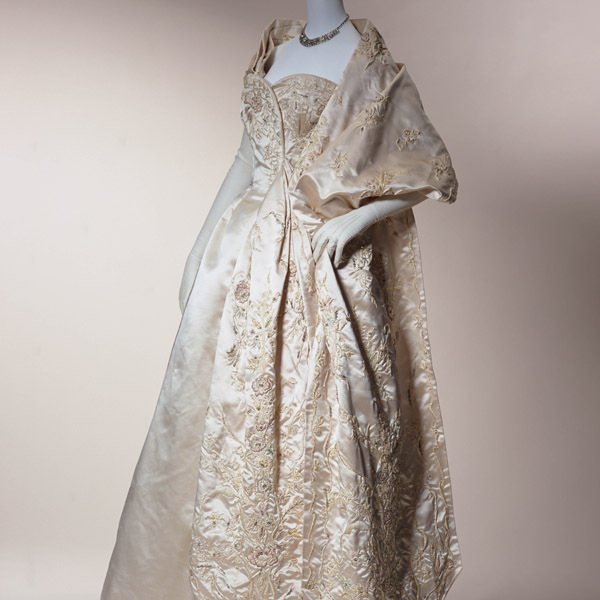 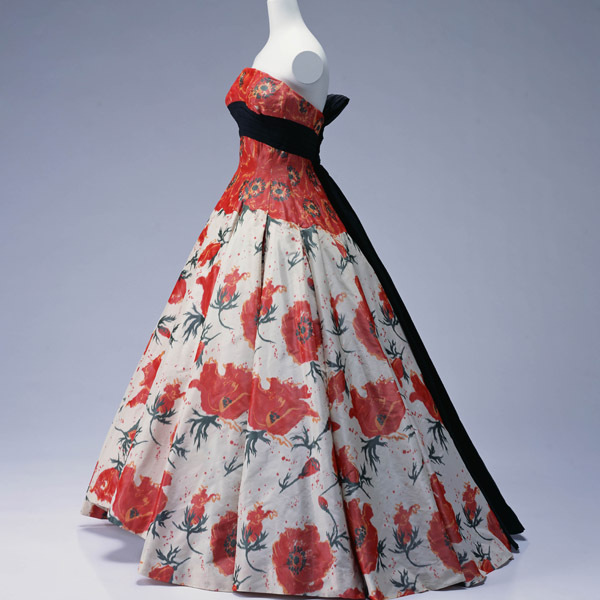 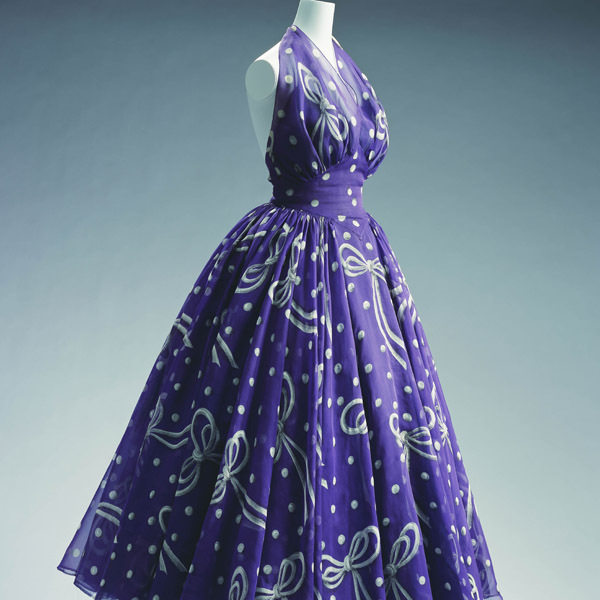 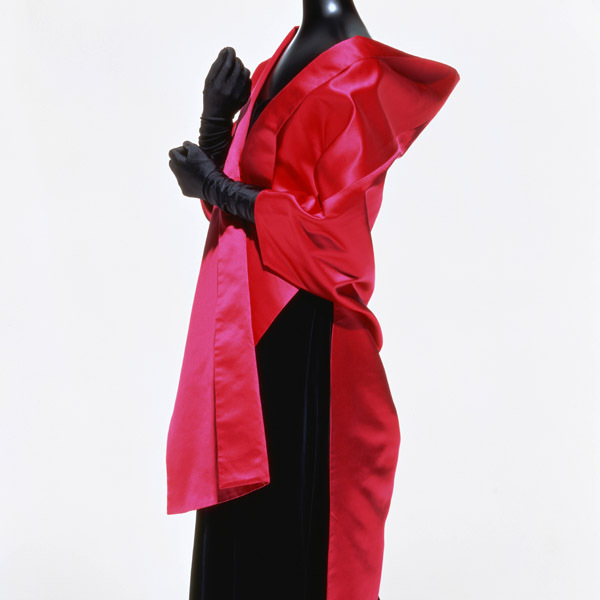 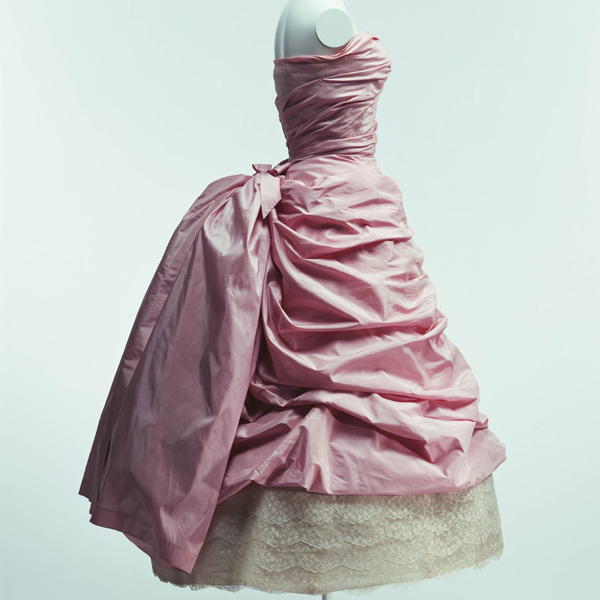 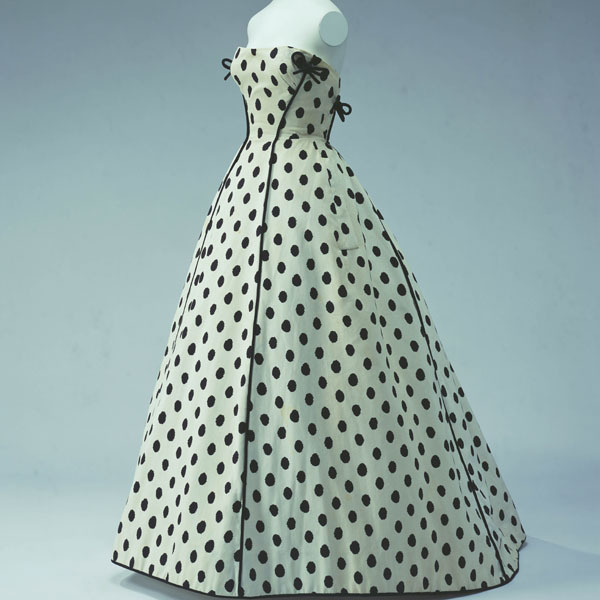 Balenciaga was unwilling to compromise on his ideals for the finished form. 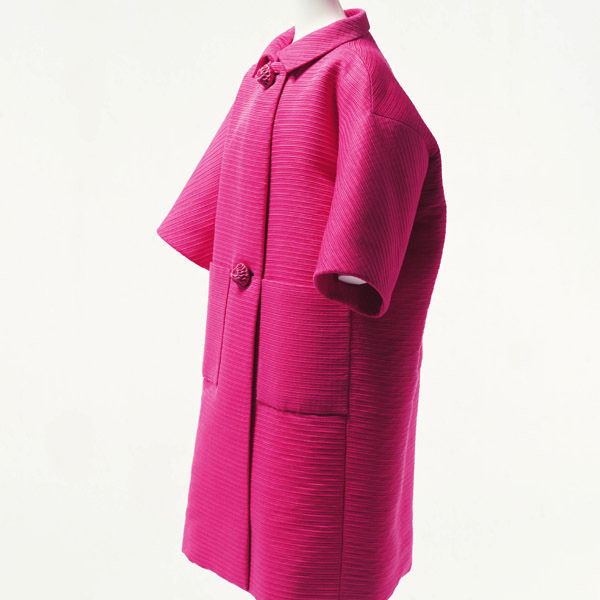 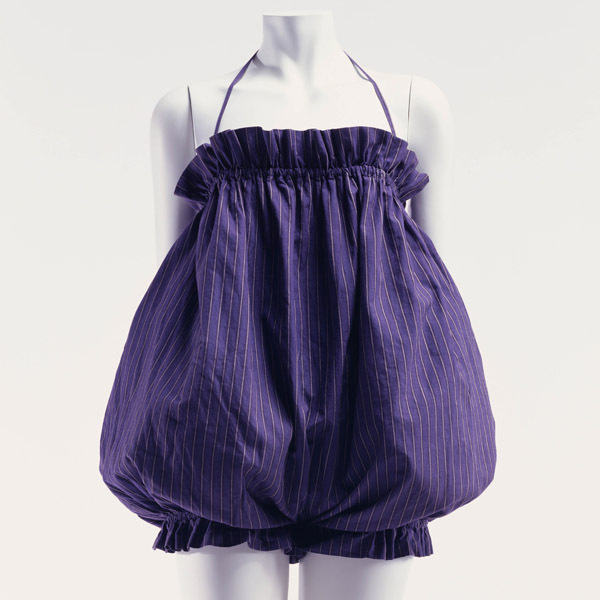 His relentless focus on the clothes is what resulted in products with a distinctive style despite their simplicity.